It’s a Majestic Royal Stag That was a Sunday early morning and daughter had come from USA to Daltonganj a small district town named Palamu in Jharkhand. Since this Betla National Tiger Reserve was the only source of outing we all went early in the morning for a Jeep Safari. 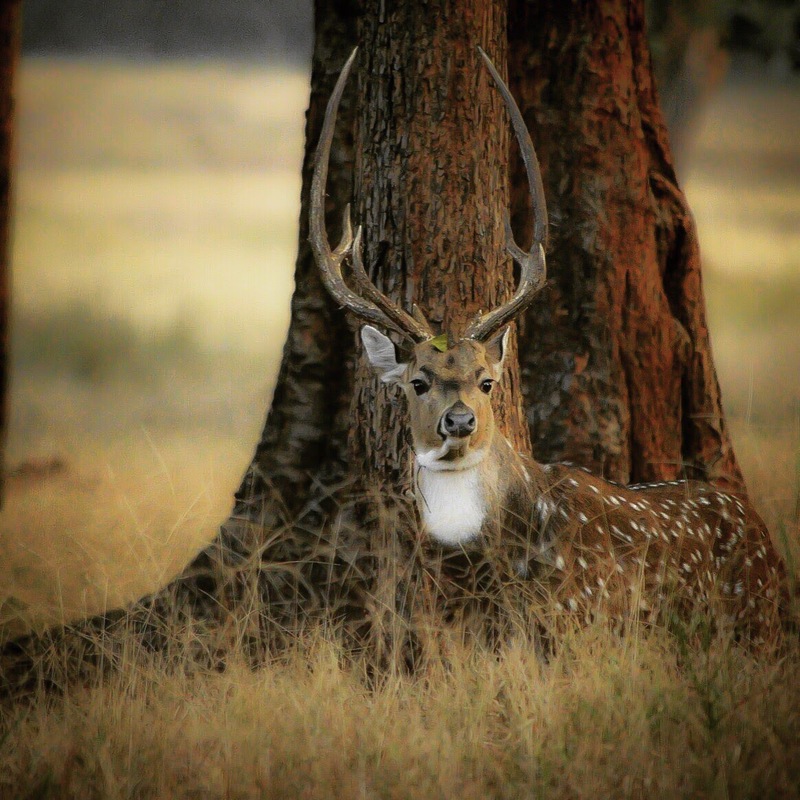 I was lucky to catch this wonderful shot of the Royal Stag sitting against a tree.